Another Home Leased by Premiere Team Real Estate - Recently remodeled w/ mostly hardwood & ceramic tile floors * Vaulted ceilings * Open island kitchen with Granite countertops, tile backsplash, Bosch appliances, 5-burner gas range, walk in pantry overlooking spacious family room with gas starter brick fireplace * Spacious master suite with large walk-in closet and separate garden tub and walk-in glass shower *Large covered patio * Sprinkler system * Trees * Walk to park with pool and more! The community has the added benefit of having schools in the award winning Leander ISD and Round Rock ISD. Its homes represent some of the most reasonably priced in the northwest Austin real estate market, while its master-planned neighborhoods present safe and tranquil environments. In fact, within Avery Ranch real estate, about 5 amenity centers with playgrounds appear, together with other amenities like pools, walking trails in the hill country, outdoor sports courts and an amphitheater. When it comes to homes for sale in Avery Ranch, an incomparable community and lifestyle come with the offering. One of subdivision’s most popular attractions has to be the Avery Ranch golf course. The course includes a lake, limestone caverns, live-oak trees, rolling hills, springs, creeks and ponds. The Avery Ranch Golf Club heads up a full line of services, including restaurants, bars and banquet facilities. A huge subdivision, dozens of neighborhoods, each with a unique set of qualities and atmospheres make up the residential profile. Avery Ranch homes for sale offer something for every age group and family type. They can be found, from cozy townhomes to huge golf course homes. Those interested should expect to find established and new home construction, volumes of quality craftsmanship, livability, desirability, curb and price appeal. Round Rock, Texas consists of a large, livable community and homes market in north Austin real estate. Round Rock has a fast growing profile in both its business and residential sectors. It has some notoriety for being an excellent place to live and raise a family, with Round Rock School District claiming some of the spotlight. Round Rock real estate embraces many lush parks, green spaces and preserves. It encompasses play areas, trails and an abundance of recreational opportunities associated with neighborhoods and homes. Real estate includes a wide variety of desirable homes for sale at any given time. People of every age group and family size can find something to more than suit their fancy in the community and its available homes. Texas Hill Country creates a beautiful back drop for the community named after a Round Rock landmark in the Brushy Creek. The community,itself, creates a delightful back drop for innumerable, family-friendly neighborhoods in both established and newer developments. 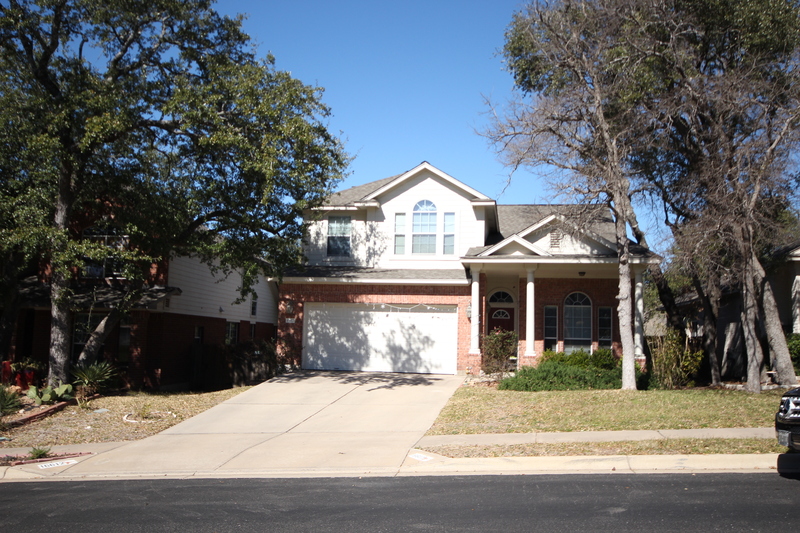 Neighborhoods, in turn, create a highly attractive back drop for homes for sale in Round Rock. Neighborhoods set the stage for families to flourish in safe environs. Homes for sale span the gamut, from cozy bungalows, condos and townhomes, to spacious luxury homes and expansive estates. They tend to be more moderately priced than many other Austin homes, an added benefit that helps keep demand high for homes in the community, year round. Round Rock real estate comes in many new home choices. Modern amenities and exemplary craftsmanship come with the options, as award-winning builders keep improving on their workmanship. They produce better and better renditions in the community for better and better experiences on living the good life in a relaxed lifestyle. Quality, livability, safe, well-planned neighborhoods, and fine schools, together with every convenience and a positive economy make homes for sale in Round Rock highly sought after. Significant medical and educational presences add to the desirability of real estate. These include three, state-of-the-art medical centers and the campus of Texas State University.